After all four lessons are over, we’ll be opening registration for our group coaching program called Deliberate Growth. Registration will only be open to only those who are serious about building their coaching business. The first lesson of this four-part series focused on the importance of employing deliberate practice to become proficient at marketing. In the second lesson, we went deeper, making the distinction between skill development and knowledge acquisition. A problem with using deliberate practice to build marketing skills is that the rewards are not always immediate. Trying to become masterful at blogging, for example, might be your greatest source of leads in 6 or 12 months but what about the next 90 days? They are constantly working their lists, getting in front of people, being of service. In short, they do a lot of hunting. Let me explain. Without the luxury of grocery stores and restaurants, there are two main methods of getting food: hunting and farming. The advantage of hunting is that it provides large rewards in a relatively short period of time. The downside is that when you’re done eating, you have to hunt some more. Farming, meanwhile, requires a lot of up-front effort but yields results repeatedly over time. For example, planting an apple tree today may not produce any fruit until 3 or 4 years from now but then, with a minimum amount of upkeep, you can yield large crops year after year. When it comes to marketing your coaching business, there are hunting tactics and farming tactics. For most coaches who are eager to take their business to the next level, there is palpable tension between needing immediate clients and developing a strategy for long-term, constant growth. Stated another way, most coaches want to be farmers with the immediate results of hunting. 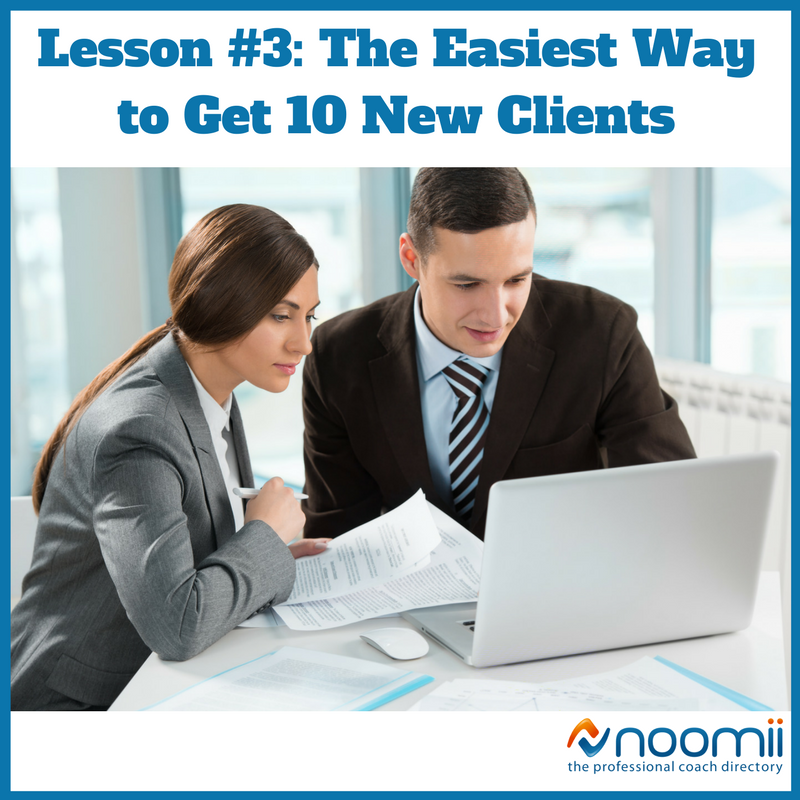 What if you could get 10 new clients in the next month? Wouldn’t that be nice?! Give 30 people a free consultation. That’s one free consultation per day. To deliver our group coaching program, we partnered with the #1 most hired coach through the Noomii referral program, Sifu Karl Romain. If you’ve ever spoken to him, you know that although he is great at selling, he’s not salesy. Sifu is warm, caring, and approachable but he hustles. 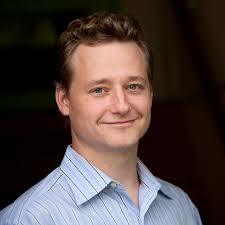 He is great at following-up with leads and staying in touch with the people in his network. He’s not pushy but he works his lists. Even though he has a robust farm of lead sources that he’s cultivated, he is constantly inviting people to try coaching, including fellow neighbors who pop into the elevator on their way home from a busy day at work. It may feel scary to pick up the phone or talk to people about what you do but that’s exactly how you can get 10 new clients in a month. Let’s assume that for every person that experiences a free consultation, one of them hires you, then all you have to do is offer one free consultation per day and at the end of a month, you’ll have 10 new clients. There are other ways to get 10 clients in a month but working your lists is the most direct. It’s not magic. All it takes is a desire to give people the experience of coaching. That would help us achieve our mission of increasing the total tonnage of happiness in the world. If you stop to think about it for no more than one minute, I bet you can come up with at least three people you could connect with. Give it a try right now. Think about your neighbours, your hairdresser, or an old friend from a past job. Even if you’ve been coaching for a while, there are bound to be people in your network that you just haven’t reached out to yet. The “who you know” list is the easiest. The “who you need to know” and “who needs to know you” lists are a little more of a stretch because they might be a couple degrees of separation away. But heck, isn’t that what we are supposed to do as coaches?! Push ourselves outside of our comfort zone a bit. At worst, they tell you they are not interested. At best, you change their lives. If you ready to do what it takes to grow your coaching business, Deliberate Growth is your opportunity to make progress with other like-minded coaches. We are looking for coaches who are ready to get a little uncomfortable in service of their clients. In the next lesson, we’ll talk about what it means to think like a business.